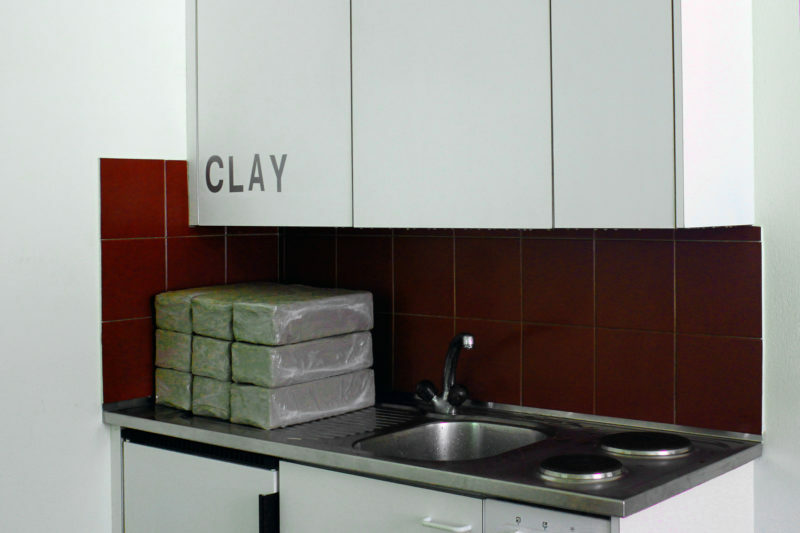 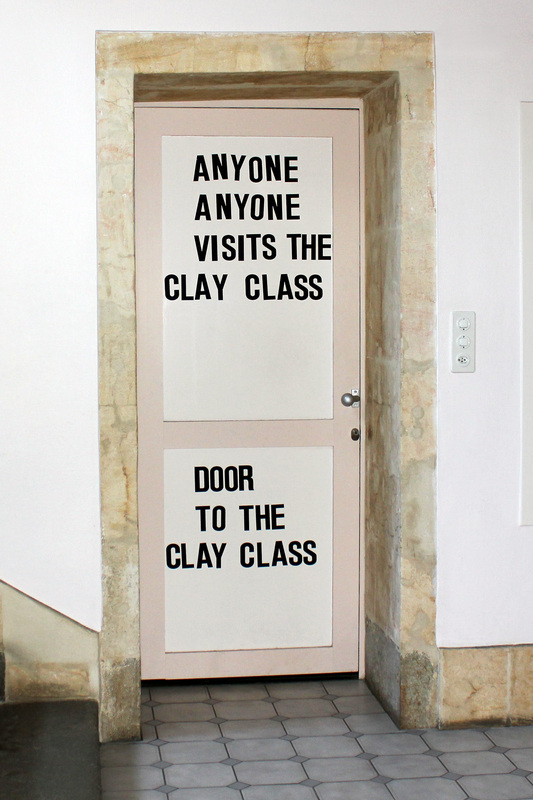 A door inside a public building announcing access to a fictitious clay class. 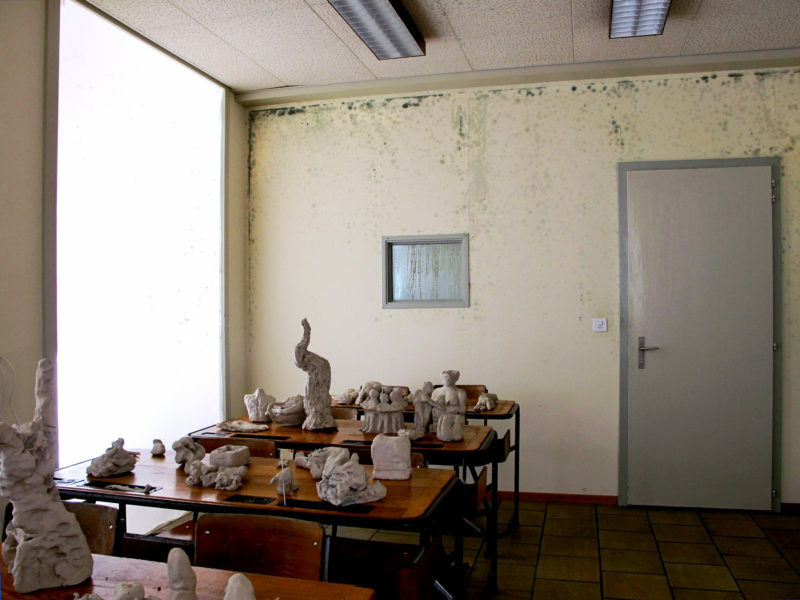 Inside, the humidity is stifling. 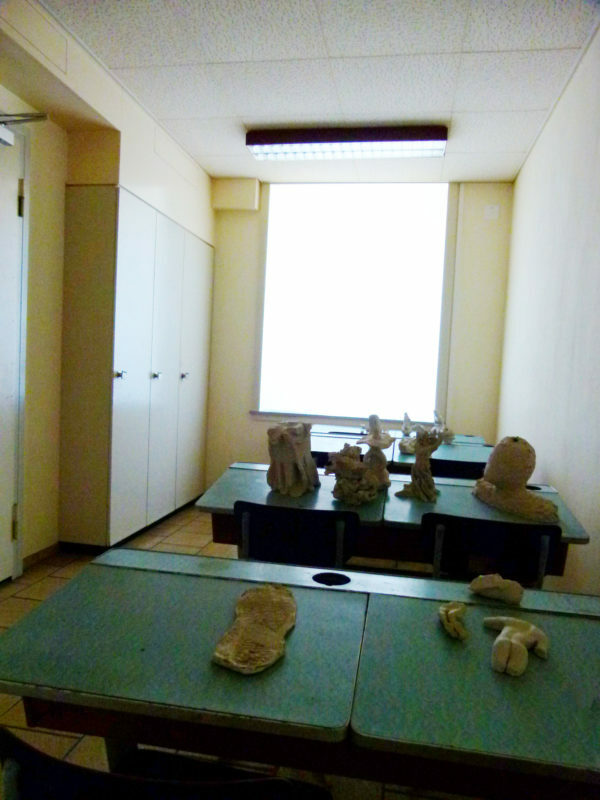 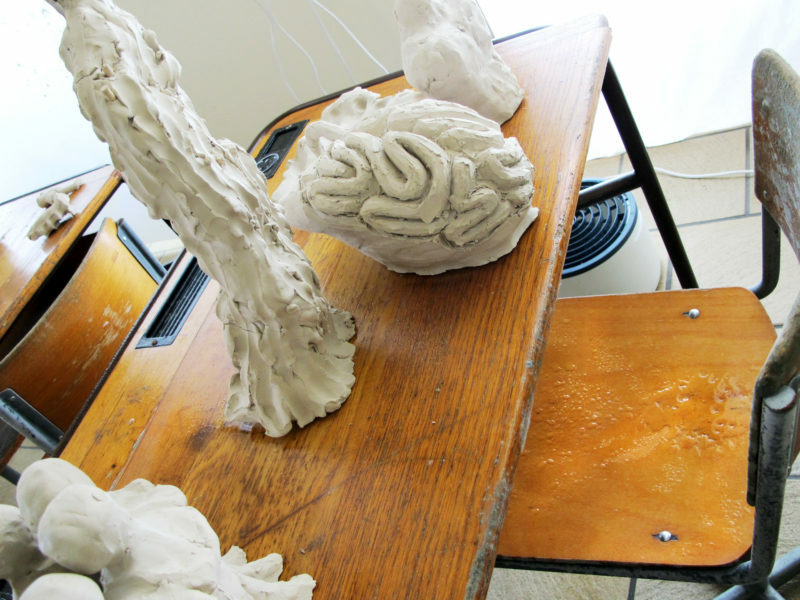 The clay figurines have been produced by my art students at ETH Zurich, and used as ready-mades with their permission. 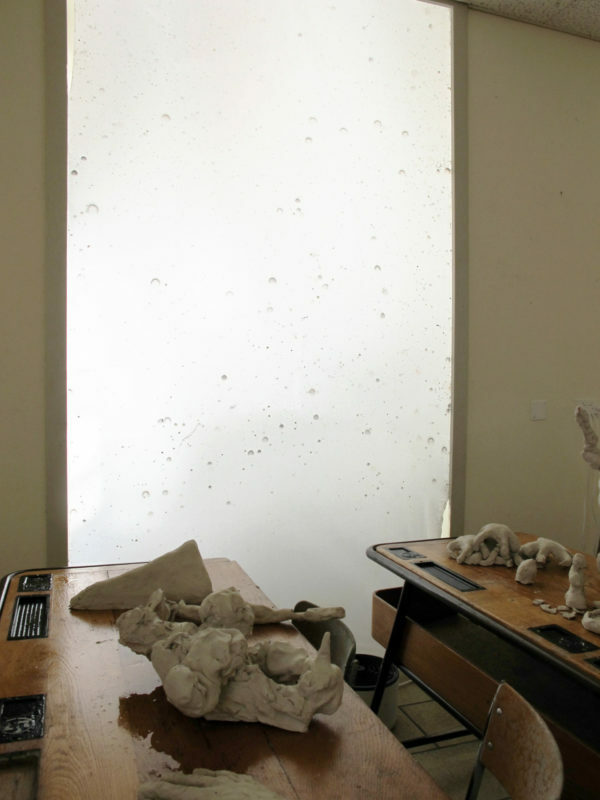 The visitor, her visit to the site (coming from the street, opening the door, entering the rooms, …), and the promise of what is behind the door are all part of the work’s semantic construction. 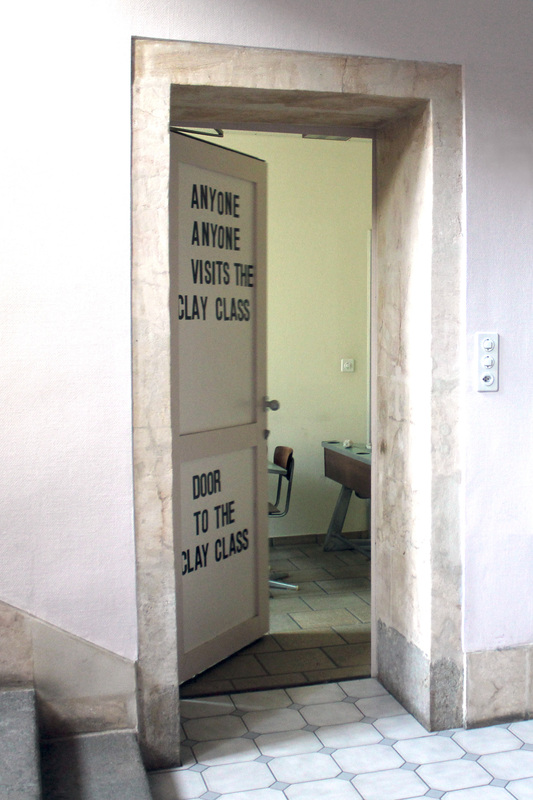 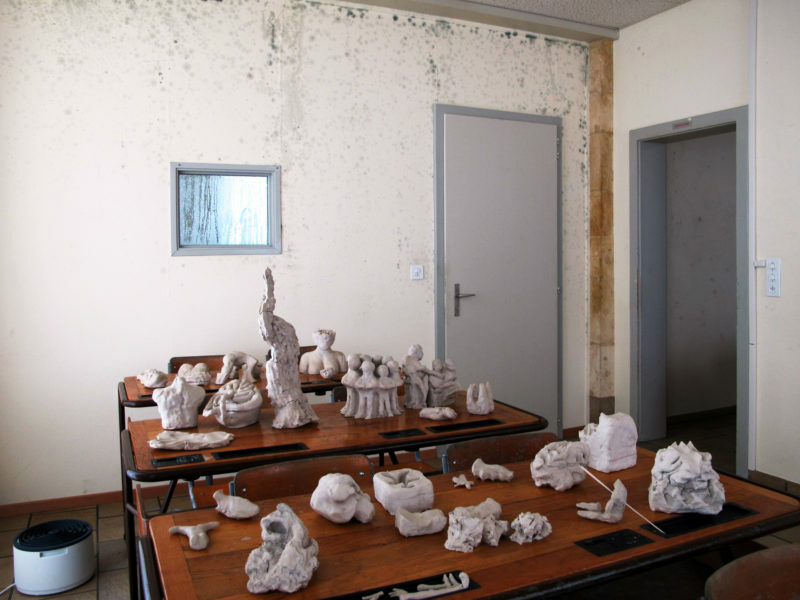 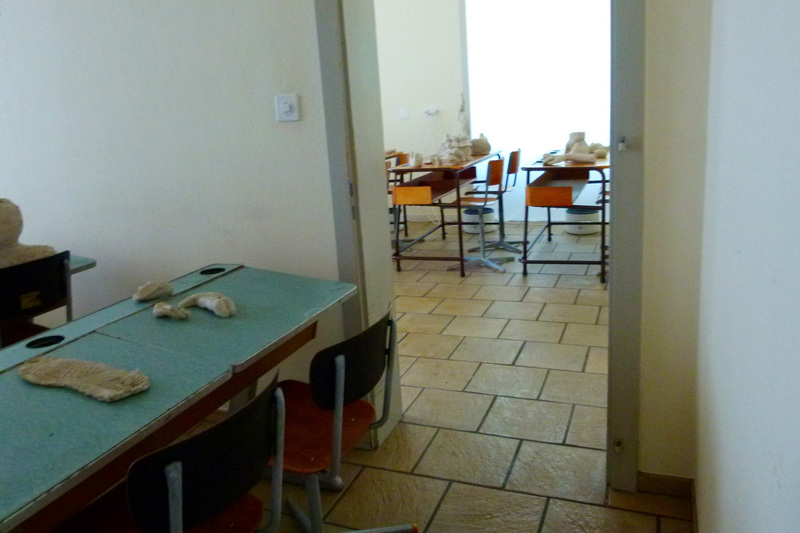 Door to the Clay Class has been my contribution to the open-air exhibition Môtiers 2011 – Art en plain air in the Swiss Jura mountains.